Nothing says confidence like flashing a show-stopping smile. Our Toronto dentists provide a comprehensive range of cosmetic dental services to help make yours unforgettable. A brilliant, attractive smile conveys confidence and vitality. As we age, our teeth naturally darken. One of the most popular ways for patients to enhance their smiles and improve the appearance of their teeth is teeth whitening. 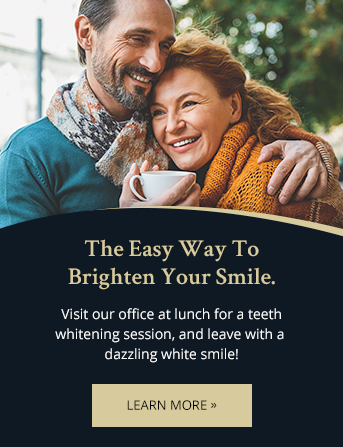 Patients can visit the dentist at lunch and leave with a stunning, white smile. Relax – you're in good hands. Meet our experienced dental team. Porcelain veneers, thin shells of ceramic material placed over the natural tooth surface, can remove flaws and restore your smile's appearance. Designed to mimic the natural translucency of enamel, porcelain veneers look and feel like your natural teeth. Multiple procedures in one easy appointment. Learn about our sleep dentistry services. When you look and feel your best, people notice the difference. Modern cosmetic dentistry can totally transform your smile. If you are considering more than one cosmetic procedure, you may want a smile makeover, a comprehensive combination of cosmetic dental procedures intended to enhance your smile's beauty and appearance.